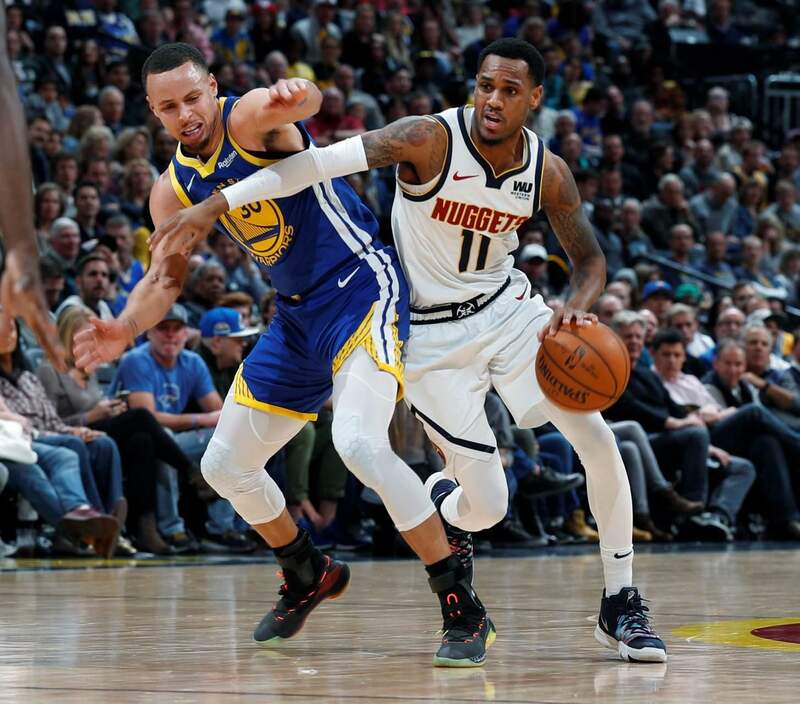 Denver Nuggets guard Monte Morris drives past Golden State Warriors guard Stephen Curry in the second half of last week’s game in Denver. Morris has improved his shooting percentage with a little help from a gum wrapper. Denver Nuggets guard Monte Morris has averaged 9.9 points in 24 minutes per game this season. DENVER – Monte Morris restored his long-range jumper to mint condition. 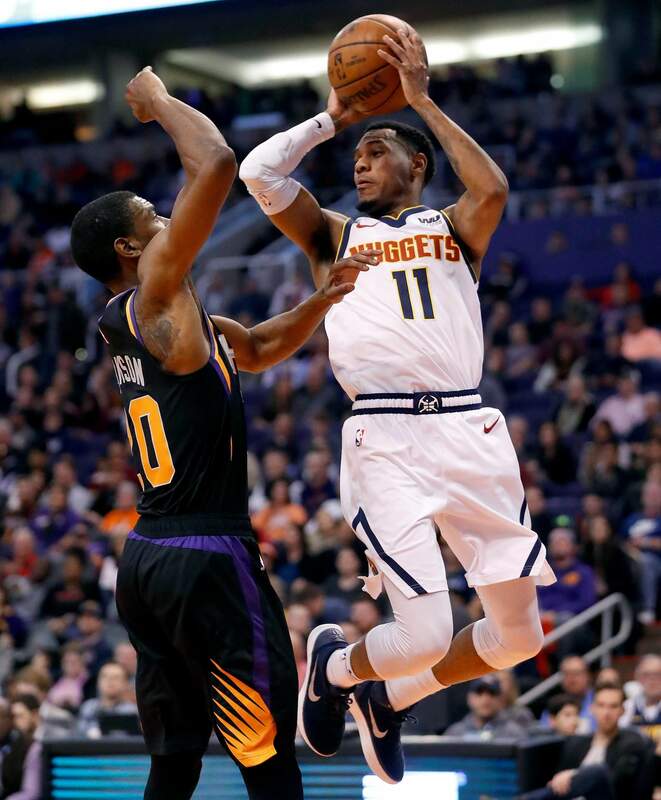 Last summer, the Denver Nuggets backup point guard went through shooting drills with a wrapper from a stick of gum – mostly spearmint, he said – wedged between his thumb and index finger on his guide hand. It was a way to find a more reliable release. He was gung-ho – or gum-ho, in this particular case.